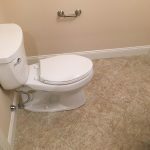 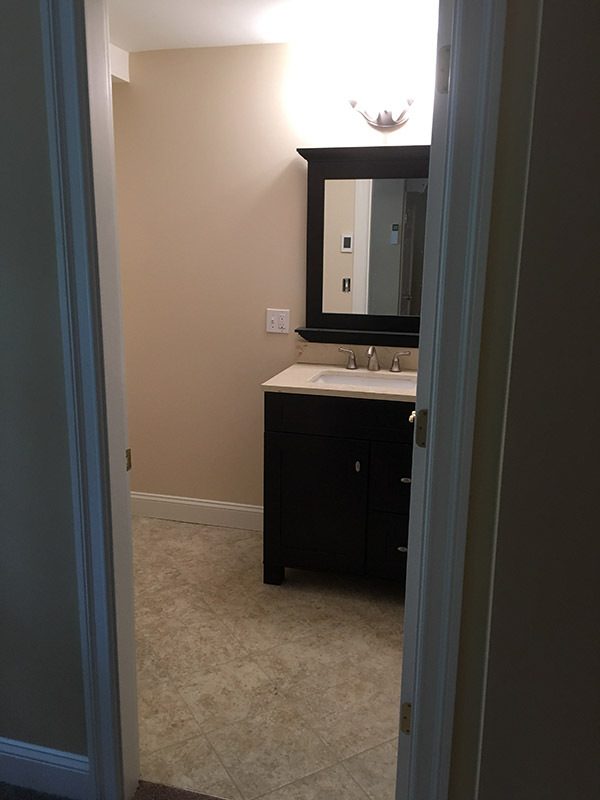 We are here to help you have the bathroom of your dreams. 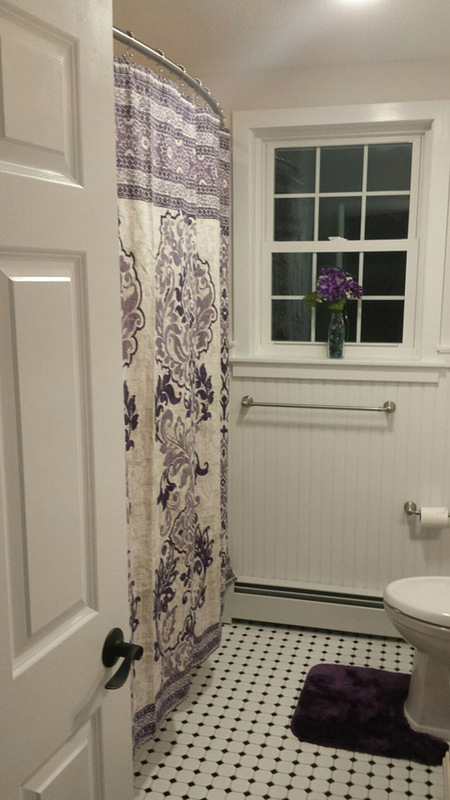 Whether a simple update or the creation of a master bathroom suite, we are here to make it a reality. 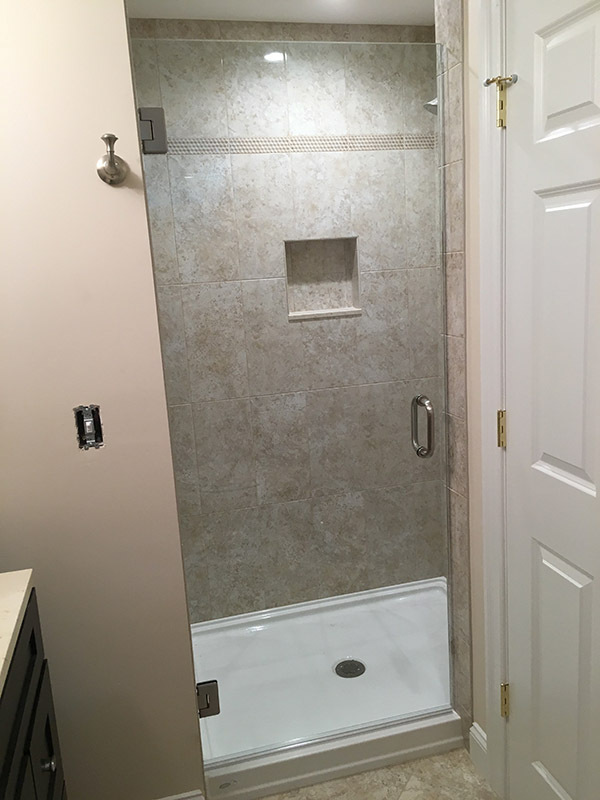 Custom tile showers, radiant floor heat, custom vanities, and exclusive tubs are just some of the ways that we will enhance your lifestyle. 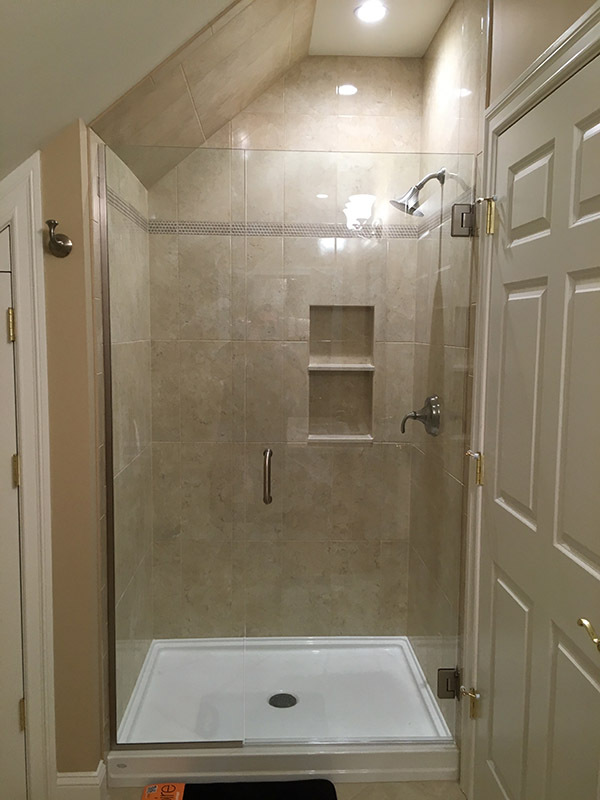 Our subcontractors are selected carefully for their experience and workmanship to ensure that your expectations will be exceeded. 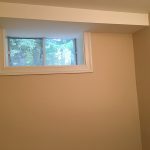 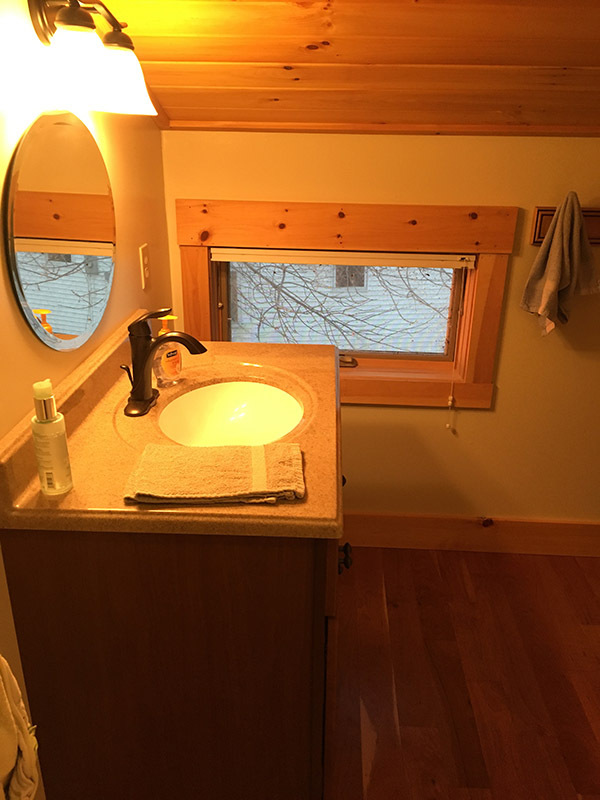 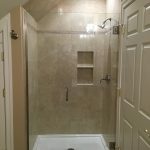 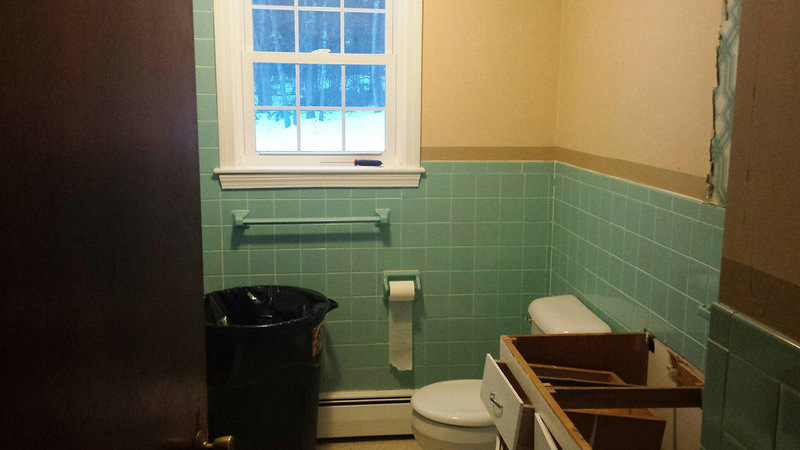 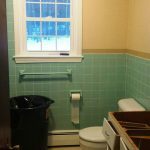 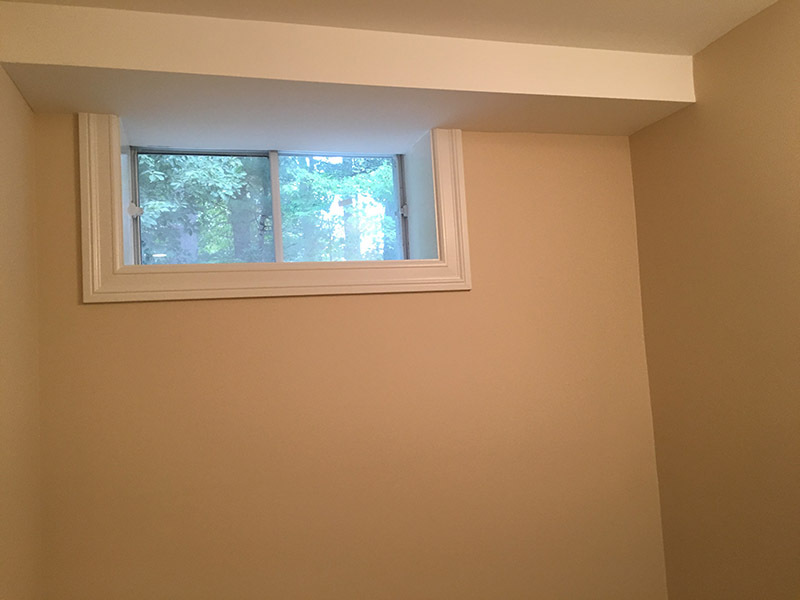 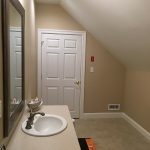 Located in the basement, this bathroom has a heated floor, tiled shower, and frameless glass door. 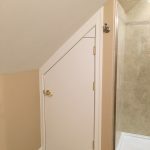 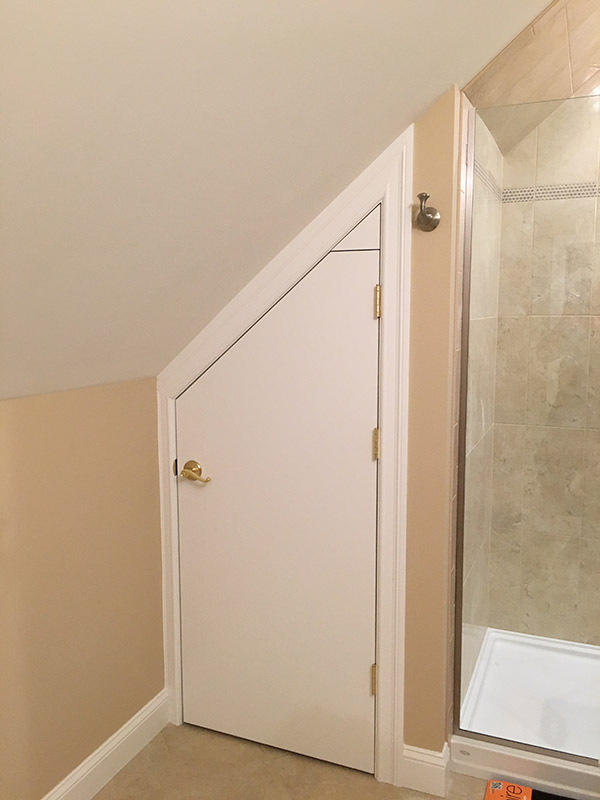 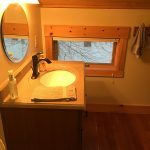 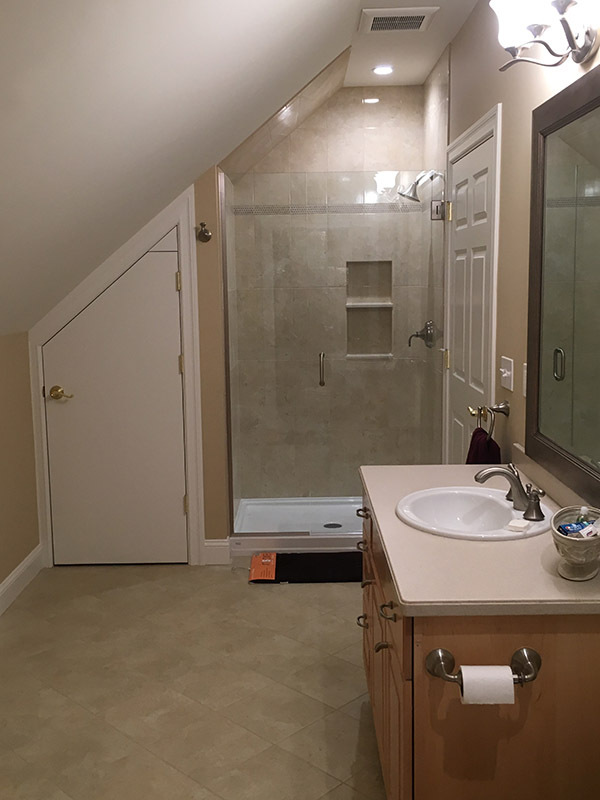 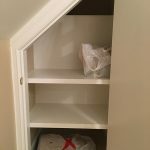 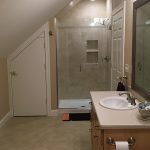 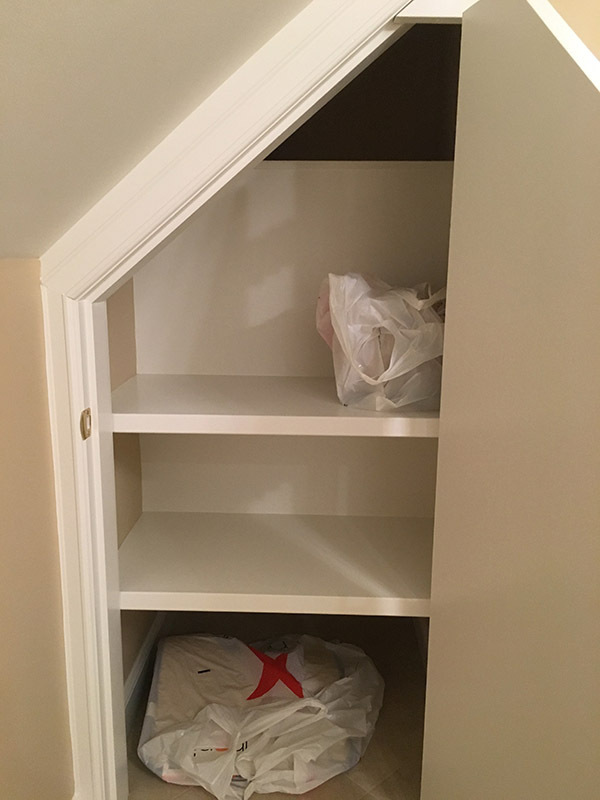 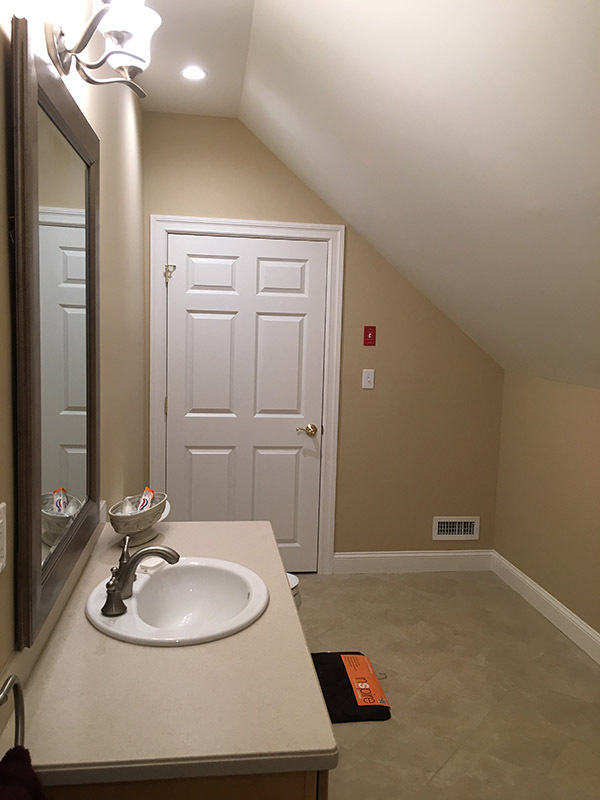 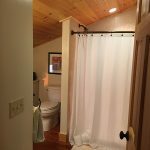 Located in the attic, this spacious bathroom has a tiled shower, frameless glass door, and shelving to the lefty of the shower. 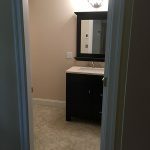 Here is a great example of a woman’s touch. 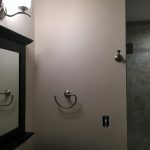 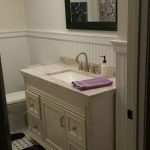 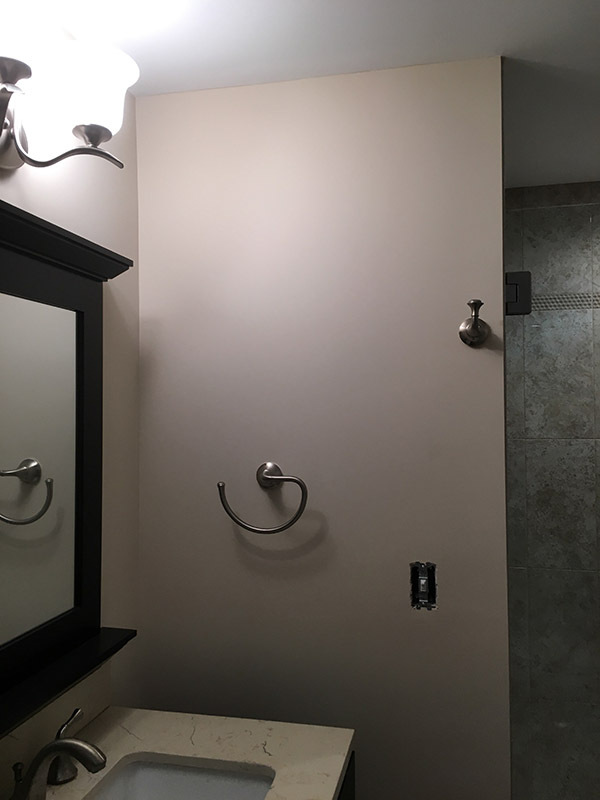 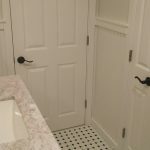 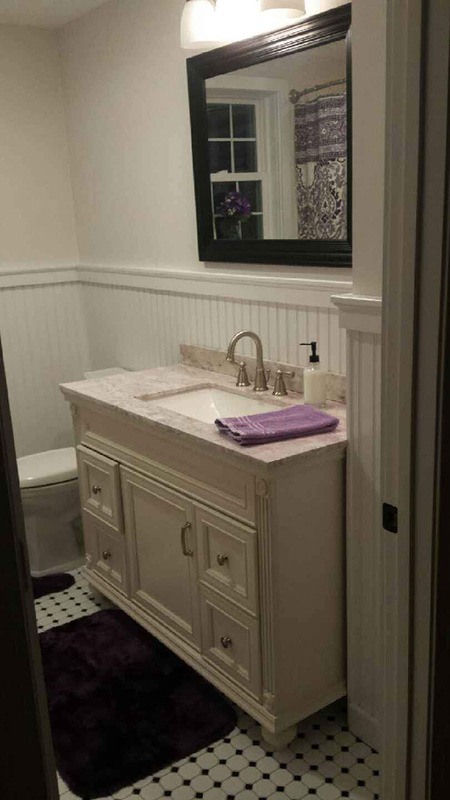 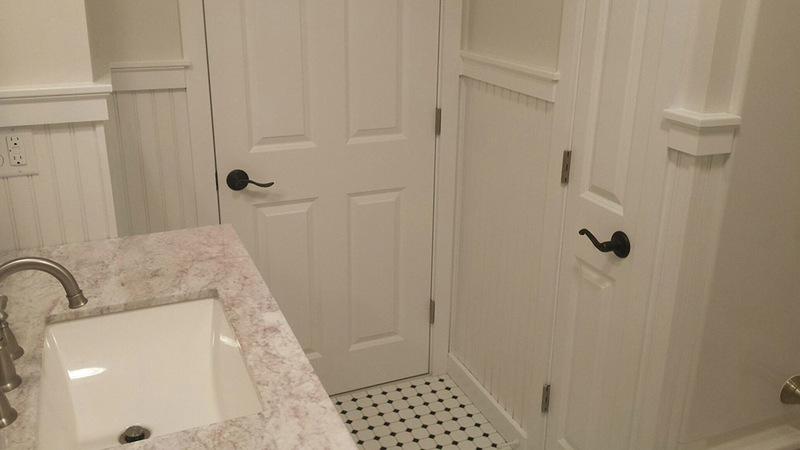 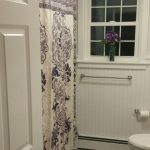 We installed a new 3-piece shower tub unit, tile floor, and a bead board wainscoting. 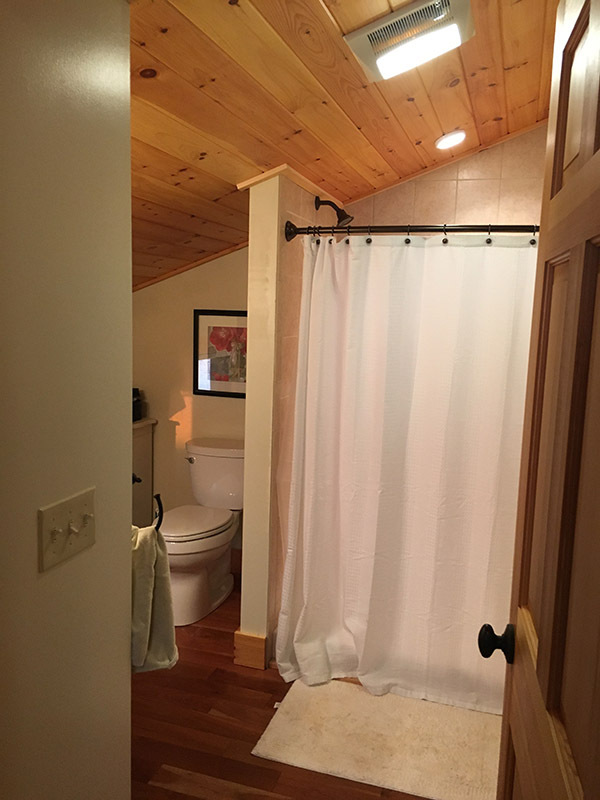 Master bathroom in a house in Vermont. 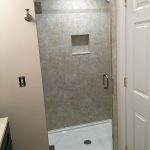 Cherry flooring, tiled shower. 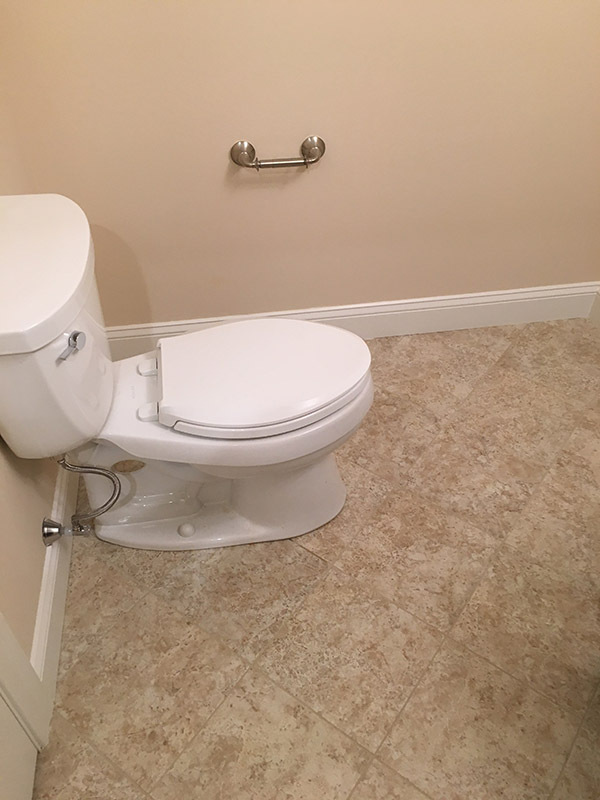 Small but beautiful.